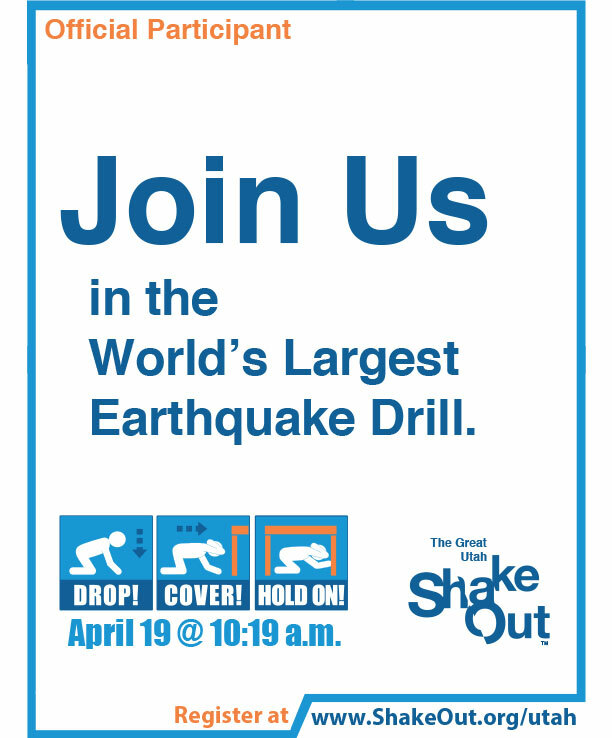 Materials on this page will be available to you or your organization to support your participation in the ShakeOut and to promote awareness and preparedness. 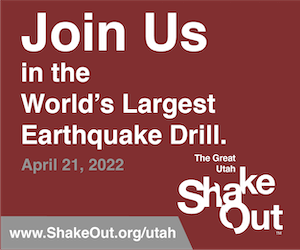 Film director, motion graphics designer and Art Center College of Design alumnus, Theo Alexopoulos, takes you on a visceral journey through a scenario for a Wasatch Front earthquake. 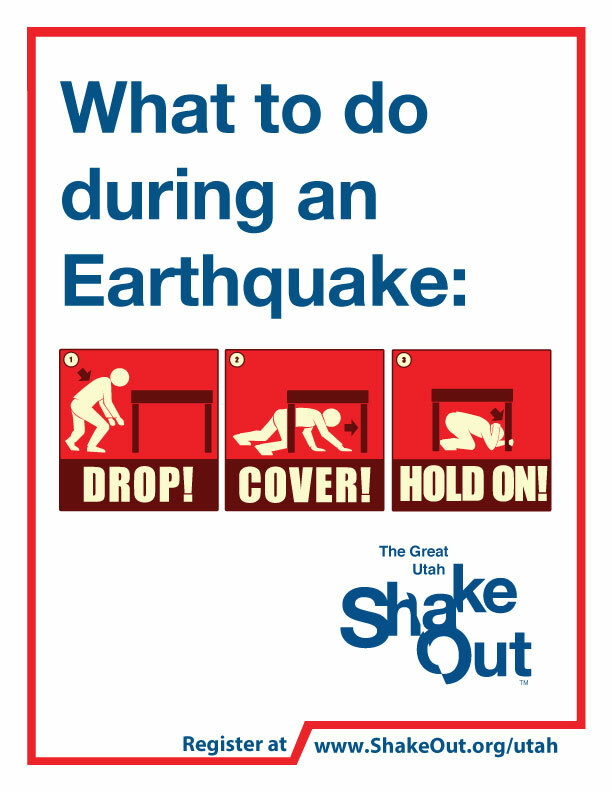 The film gives the viewers a sense of what will be happening and inspires them to prepare and mitigate for a faster recovery. 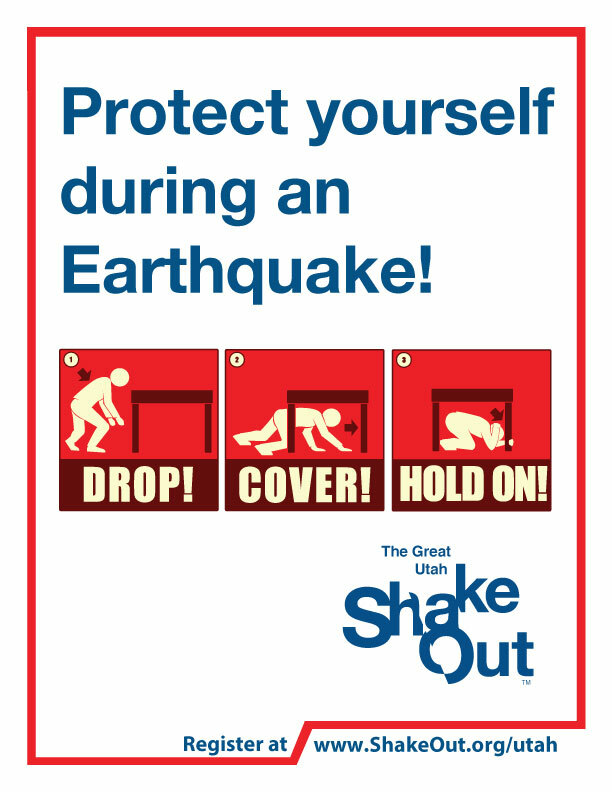 While originally created for the California ShakeOut, these documents can be used for Utah as well. 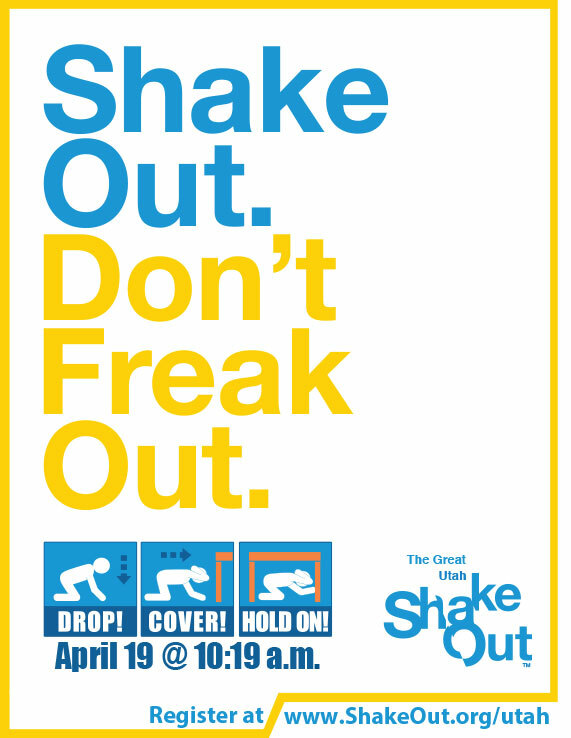 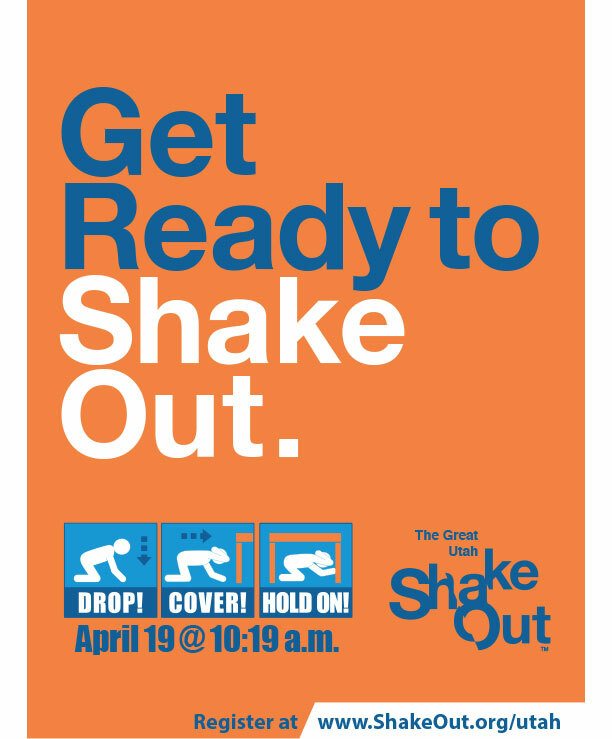 ShakeOut Posters with no date are also available. 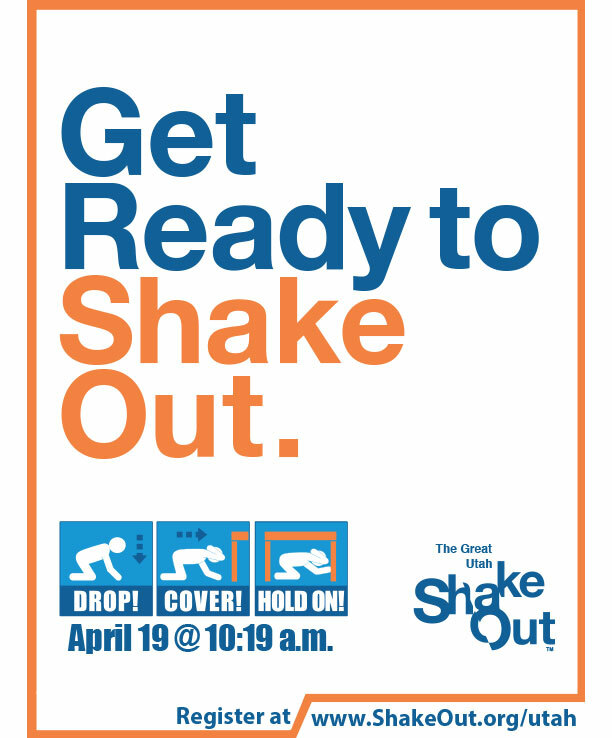 ShakeOut Flyers with no date are also available. 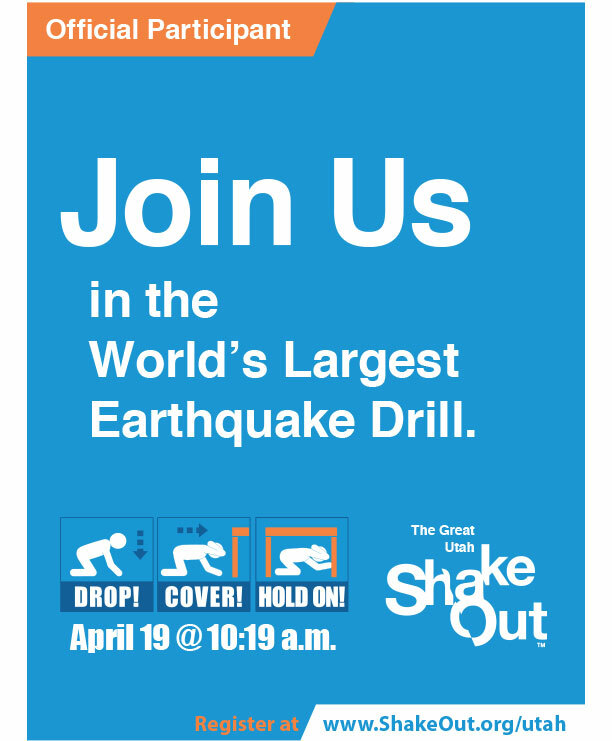 You can place a ShakeOut web banner on your web page to encourage participation in the ShakeOut. 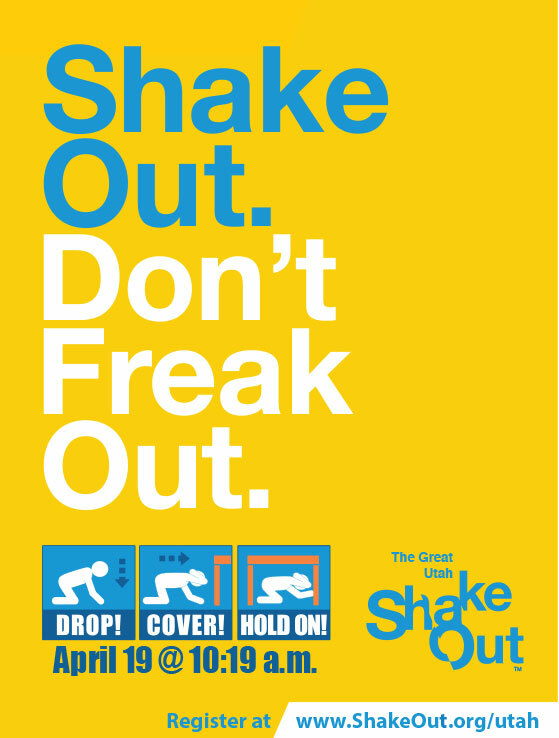 ShakeOut Banners with no date are also available.